The half yearly report on player disputes handled by eCOGRA’s Fair Gaming Advocate,Tex Rees, shows fewer complaints on bonus issues, but a rise in locked accounts. “The indications are that the decrease in bonus complaints has been primarily the result of greater care in the construction of promotional offers by eCOGRA accredited operators,” said Rees. “This has been an area that eCOGRA review teams have stressed to operators is of significant importance. “The increase in locked accounts can probably be attributed to the introduction by many eCOGRA operators of more sophisticated anti-fraud and anti-collusion measures,” she added. 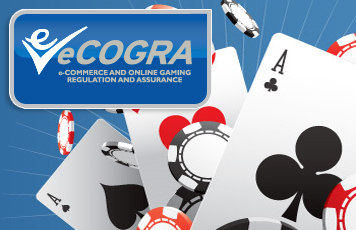 Rees received a total of 439 complaints in the first half of 2009, rejecting 40 as not applying to eCOGRA operations; the Fair Gaming Advocate’s services are only available in respect of accredited operations with which the organisation has influence and contacts. A further 57 were defined as ‘invalid’ – the term used to classify communications of a pointless and/or abusive nature, or so generally non-specific as to render investigation impractical. Last (2008) year, valid complaints resolved by the Fair Gaming Advocate totalled 550. Rees reports that of the 342 valid complaints accepted and investigated by eCOGRA this year, 186 were resolved in favour of the player. The most common complaint – 46 percent of the valid complaints – related to cash-in issues, which took over from bonus issues as the main cause for dispute between online casino or poker room and player. Bonus issues were down at 68 complaints – 20 percent of legitimate disputes filed, and locked account queries amounted to 70 cases or 20 percent. There were 46 (14 percent) other complaints, mainly regarding minor issues in the player-operator interface which were quickly resolved.